This page gives you a total overview of the art collection of available affordable paintings made by Ronald Hunter. Most of the paintings you see are created in 2018. All original art is created by Ronald Hunter in his art studio in Rotterdam, The Netherlands. 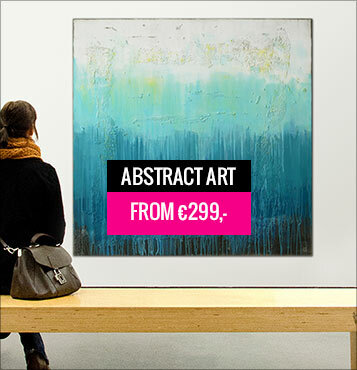 Art collectors can now buy affordable paintings directly from the artist. Interested in a custom artwork by Ronald Hunter or need assistance? Get in touch! We usually respond within a few hours. Buy affordable Pop Art paintings. While most of Ronald artworks are abstract in style, his expressive side is embodied by the stunning collection of Pop Art. These eye catchers are often embellished with bright neon colors and beautiful female faces. As a result of his background in graphic design, Ronald often uses typographic form in his pop art. Therefore, we can assure you: you will never grow tired of looking at these. 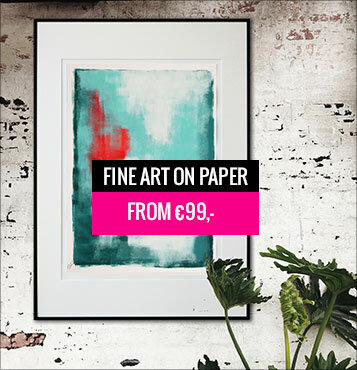 Buy affordable fine art on paper. For anyone who is looking for smaller sized art, we offer Ronald’s colorful collection of abstract paintings on paper. A balanced composition of color and form, every piece is unique and handmade. Ronald uses acrylic paint and high-grade paper (240-300 gr) to create art that is truly one-of-a-kind. In addition, his Fine Art on Paper is available in two sizes. 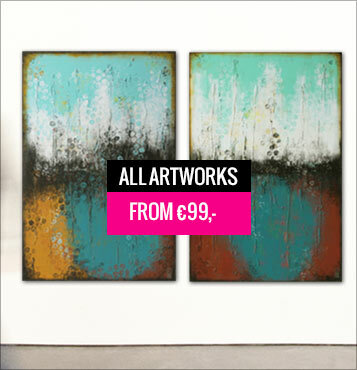 These paintings are ideal for art collectors who just started collection. Or, when you just have a small wall space to fill. So, get ready to shop these affordable and special artworks. Want to stay up-to-date with Ronald’s work and projects? Follow him on Instagram! And be the first to know about promotions.